Made from clear plastic with extra large base and 2 large handles. Holds 12 ounces of cold or warm beverage. Volume markings show capacity and are easily viewable from the outside. Comes with 2 different lids which both accommodate a straw. 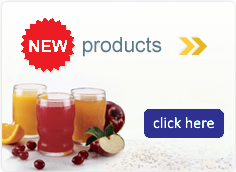 The anti-splash lid helps prevent spilling, and has both a high-flow and low-flow feature. 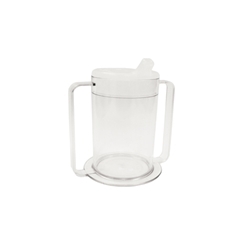 The spout lid is suitable for adults similar to spout lid on item # SA1256. Mug and lids are dishwasher safe.